Nancy has been with Great Northern Rehab since September of 1987. 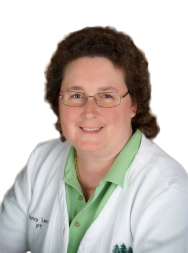 Born and raised in the local area Nancy is committed to providing the highest quality physical therapy to the entire community. Nancy trained at the college of St. Scholastica in Duluth, Minnesota. Nancy’s primary clinical responsibilities are in home health, serving our patients in Gogebic, Iron and Ashland Counties. Bachelor of Applied Science: Physical Therapy; St. Scholastica in Duluth, Minnesota. Providing quality physical therapy in a variety of settings for the entire community. Nancy is an avid golfer, sports enthusiast, and a die-hard Packer fan. Shawn Edyvean joined the staff at Great Northern Rehab in 2001. He was born and raised locally in Ironwood, Michigan and currently lives in Wakefield with his wife Jean. Shawn received his training in physical therapy at Central Michigan University, graduating in 2001 with a Master’s Degree in Physical Therapy. Shawn is the lead therapist in our outpatient clinic in Ironwood. He is an expert in manual therapy and general orthopedics and ranked as one of the top therapists in the country. 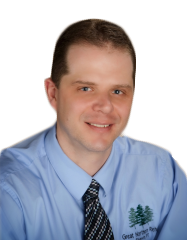 As a physical therapist, Shawn works closely with physicians throughout Upper Michigan, Northern Wisconsin, and Minnesota. Bachelor of Science: Exercise Science; Central Michigan University. Master of Science: Physical Therapy; Central Michigan University. Ongoing education in Manual Therapy and Sport Therapy. Golfing, hunting, fishing, and snowshoeing. Kathleen is proud to be a part of a team and a great group of professionals who truly care about the people in our community. Kathleen moved to the Hurley area in 1992 with her husband, Bob. She has 3 children. Two of her children are studying at University of Wisconsin – Madison and she has one child at home. Kathleen works with client of all ages. Early in her career, Kathleen took a special interest in child development and has had a focus on working with infants and children of all ages, developing their gross motor skills to maximize their functional abilities. 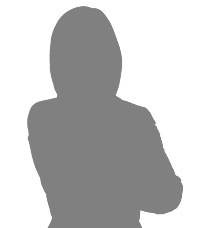 She has attended multiple continuing educational courses for sensory integration and child development. Kathleen provides physical therapy services in the school, Birth to Three programs and outpatient settings. Kathleen also enjoys providing physical therapy services assisting adults to increase their functional ability with home health care. Kathleen graduated from the University of Madison in 1988 with a degree in physical therapy. Kathleen loves to ride her bicycle and cross country ski – especially with her family. She enjoys coaching soccer and baseball and teaching children almost anything that will possibly spark an interest and help them increase their abilities and talents. She also enjoys her church and building her faith. Fred has been with Great Northern Rehab since 1992. Today, he is semi-retired, but continues to share his clinical experience in hands and occupational medicine on a part-time basis. Occupational Therapy is Fred’s second career after working for seventeen years in residential youth facilities such as Boys Town, Ne. He graduated from Creighton University School of Allied Health Professions with a Bachelor of Science: Occupational Therapy in 1991. After receiving his degree and credentials as a Registered Occupational Therapist, he worked for over a year in Omaha, NE/Council Bluffs, IA area in acute care, long term care, and home health. He and his family (wife Chris, daughter Elizabeth, and son Jake) moved to Ironwood, Michigan in the fall of 1992. He has been serving the Gogebic/Penokee range area ever since. Fred has been continuously training and developing advanced skills in Hand Therapy, Dysphagia screening and management, and Vestibular Rehabilitation. He has also engaged in specialized post-professional training in work hardening and conditioning, and work site evaluation. Bachelor of Science: Occupational Therapy; Creighton University School of Allied Health Professions. Fred enjoys the recreational offerings of this region. Hiking, fishing, hunting, as well as camping and canoeing top his list of favorite things to do during the spring and summer months, and enjoys skiing and snowshoeing during the winter. 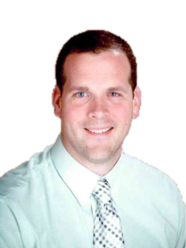 After graduation from Lake Superior College as a Physical Therapy Assistant in 2002, Mathew Sommer joined the Great Northern Rehab team. 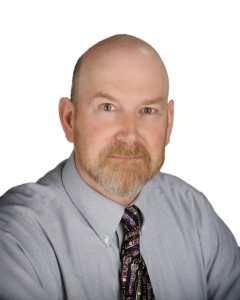 He relocated to North Dakota where he worked in a long term acute care hospital specializing in rehab of critically ill individuals, including traumatic brain injuries, spinal cord injuries, and CVA’s. Mat’s experience also includes working with amputees, home safety assessment training, sports medicine, balance impairments and vestibular rehabilitation. Mat returned to our practice in 2012 and works primarily in our outpatient clinic. In addition to his licensure as a Physical Therapist Assistant, Mat is credentialed by the APTA as a Clinical Instructor. Mat resides in Gogebic County with his wife Mary, and three children: Mason, Madden, and Mila. Mat’s hobbies include golfing, fishing, hiking, camping, and snowshoeing.